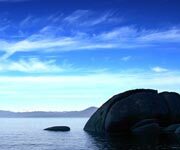 Lake Tahoe is often referred to as the perfect year round vacation and wedding destination with terrific weather and breathtaking scenery! Split down the middle by the California and Nevada border, Lake Tahoe boasts over 300 days of warm sunshine, 396 inches of annual snowfall, 18 world-class ski and snowboarding resorts, incredible golf courses, fantastic hotels,  casinos and, of course, the beautiful blue Lake Tahoe itself! 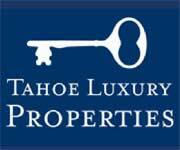 Only at Tahoe's Best will you find the best deals and promotions for Lake Tahoe hotels, restaurants and activities. 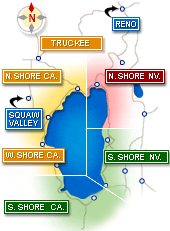 Check them out here, and use our site for everything Lake Tahoe! PROMOS – If you like paying full price for hotels rooms don’t bother checking out these deals! 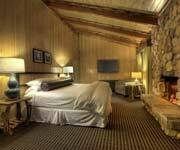 and vacation rentals for everyone's tastes and budget with hundreds of lodging options that include economy and moderate hotels and motels, full service luxury resorts, casinos, inns, cabins and luxury vacation rentals. 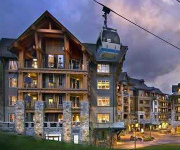 There is also plenty to do with incredible ski resorts, golf courses, beaches, hiking & biking trails, camping, fishing and boating options and restaurants! With all this and more, it’s no wonder people from all over the world make Lake Tahoe one of the most popular year-round vacation destinations in the world today! 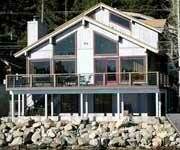 2 BR w/loft Bath Cabin near Tahoe City Hot Tub! North Shore -1,2,3,4 BR Luux and Econ Townhouses! 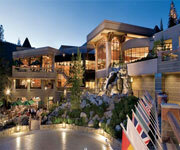 The skiing and snowboarding in Lake Tahoe is arguably the "Best in the West"! 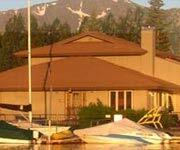 California and Nevada's retreat for summer fun. Our ideal summer climate is bound to satisfy anyone. Protected from excessive high temperatures and humidity levels, the region brims with summer activity. The Lake fills with skiers during the morning and sail boat races during the afternoon. Where to stay? Vacation Rental cabins, homes and condos are always popular so be sure to book early. will provide you everything you need to plan your romantic wedding! Looking for a wedding coordinator to help with the details and alleviate the stress? Decided on a place for your wedding ceremony or wedding reception? 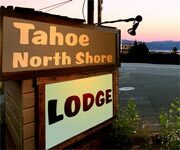 Our wedding guide lists the net's largest collection of South Lake Tahoe and North Lake Tahoe area wedding packages and lodging accommodations, casino resorts, wedding receptions, wedding chapels, wedding consultants and coordinators, photographers, ministers, catering services, party supplies, wedding cake specialists, music and entertainment and more! * Room Rates shown above reflect the average nightly rate for a 2 night stay for 2019-04-29, our visitors should verify actual rates, promotions and deals directly with the hotel as we make no guarantees regarding rates, but only provide them as a convenience.